Super cool scrappy goodness is coming your way! Let's Get Sketchy his celebrating it's 2nd Birthday! Come celebrate with us all month long. We will begin with a blog hop on March 1 that is sure to be filled with terrific inspiration and a few prizes as well. Oh, I have more pages to share from my weekend scrap binge. 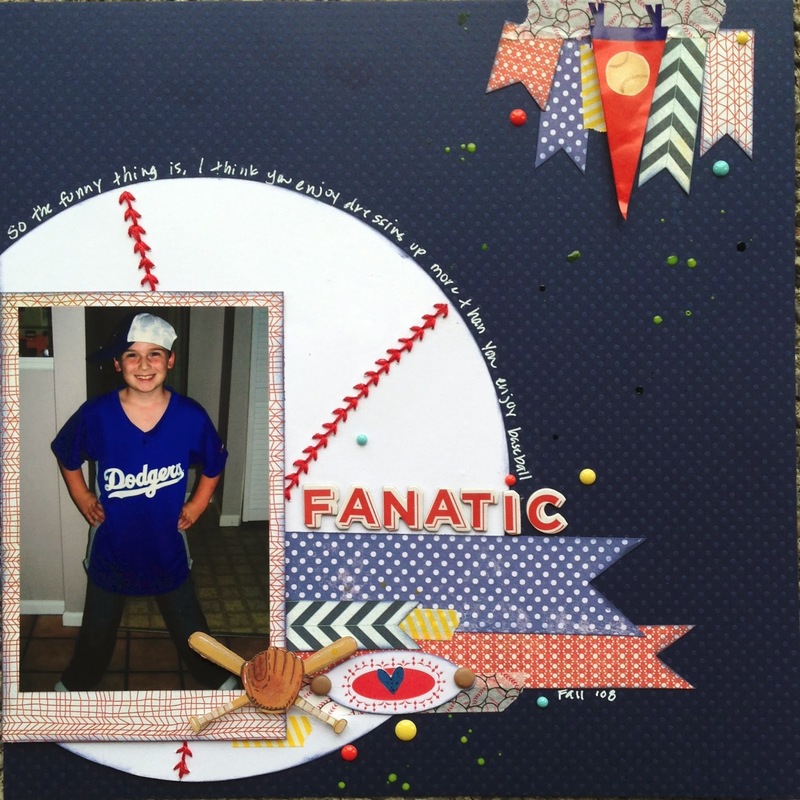 This first one is using a sketch from Sketch -n-Scrap. I really need to remember to play there more often! I did so many valentiney themed LO's this month. I decided to change this one up a bit. I love this photo of my son. He's so silly when it comes to baseball. He loves the baseball parties and dinners, and all the fanfare he gets from his aunt, but he really could care less about the game itself! I've got more pages to share. Stop by again tomorrow. WOW! I LOVE your baseball in place of the heart, just awesome! Thanks for joining us at Sketch N Scrap! What a great page. Love that cluster of banners at the top too. Thanks for joining us at Sketch N Scrap! Love what you did with the sketch! Your page is amazing! Love the colors! Thanks for joining us at Sketch N Scrap! this looks fab! love the baseball!